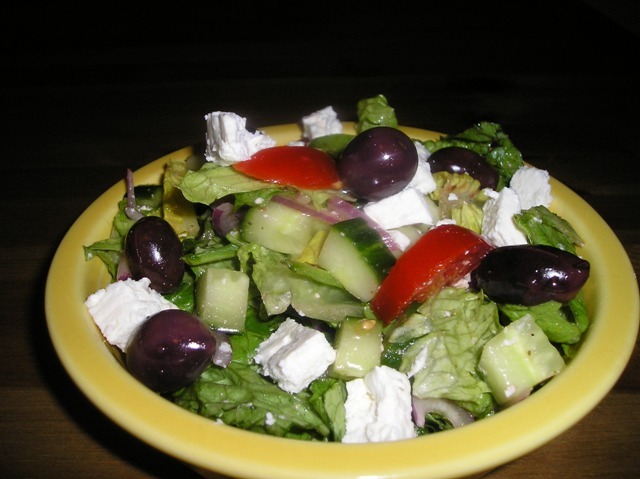 The big Greek Salad is a delicious dinner. With warm, crusty bread and a heap of feta cheese, it is really very satistfying. My recipe for the dressing is from Fine Cooking #51. It calls for your basic olive oil, red wine vinegar, and lemon juice. It also says to mash some feta up in the dressing before tossing with the greens.